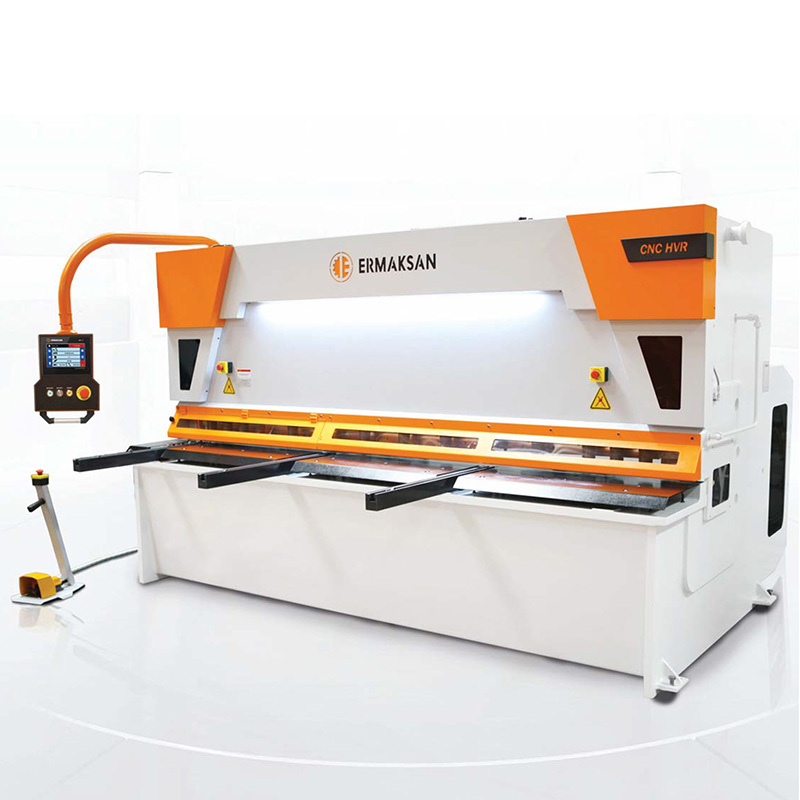 Ermaksan, having experience and expertise of many years in shear cutting machines, provides customized solutions for various customer requests. Shears introduced as hydraulic or mechanic according to customer needs provides optimum solution help with their durability, reliability and precision helping customers to achieve their goals. Shears engineered with sophisticated technology are long lasting and durable to extreme operation conditions thanks to welded mono-block body, where static and dynamic rigidity is achieved, and ability to cut a wide range of products from thin to thick metal sheet and from stainless steel to titanium with reduced cutting angles. Ermaksan taking firm steps to the future with Innovative Technologies motto will continue to be the first option in the industry providing innovative and more efficient solutions for every type of metal sheet. When you enter length, thickness and duality data of the metal sheet to be cut into easily programmable controller: blade gao, cutting angle and cutting length are automatically adjusted at the same moment This provides flexibility for various production reauests, and prevents time losses completely by aiming high efficiency. 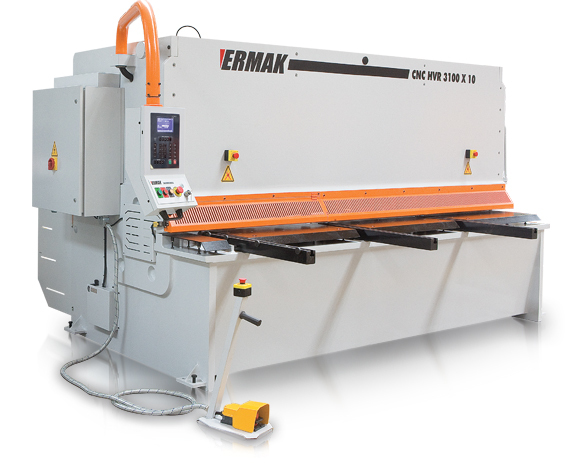 By selecting CNC HVR model developed by ERMAKSAN engineers; you will bring up to date technology to your company with maximum safety, high accuracy and unique ease of handling.